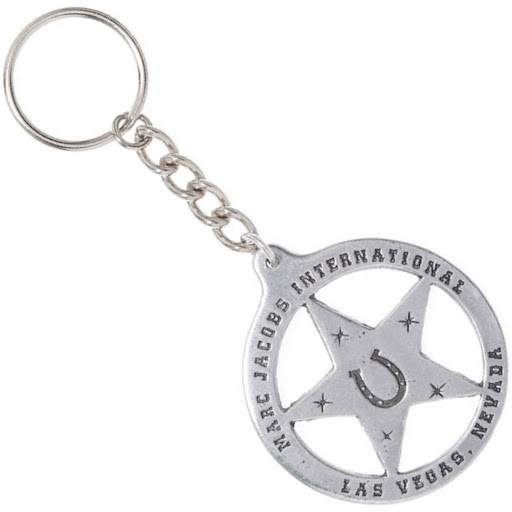 Marc by Marc Jacobs Vegas Badge Keychain Pewter Horseshoe Star Pewter finished alloy keychain capturing the Wild West side of Las Vegas. It will give you good luck, or at least good style! Size: 1.75 x 1.75" (Badge); 2.5" (ring/chain). 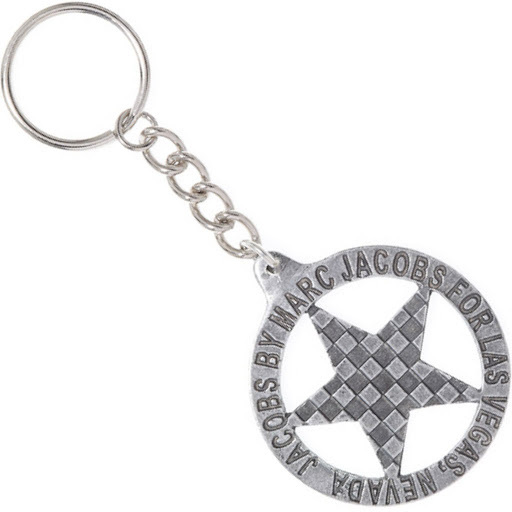 Marc by Marc Jacobs Vegas Badge Keychain Pewter Checker Star Pewter finished alloy keychain capturing the Wild West side of Las Vegas. It will give you good luck, or at least good style! Size: 1.75 x 1.75" (Badge); 2.5" (ring/chain). 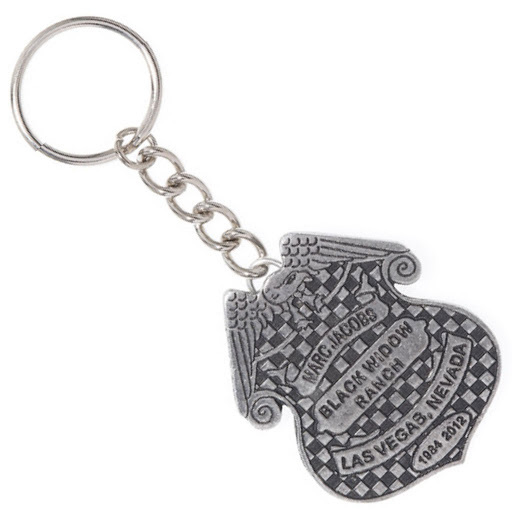 Marc by Marc Jacobs Vegas Badge Keychain Pewter Black Widow Badge Pewter finished alloy keychain capturing the Wild West side of Las Vegas. It will give you good luck, or at least good style! Size: 1.75 x 1.75" (Badge); 2.5" (ring/chain). 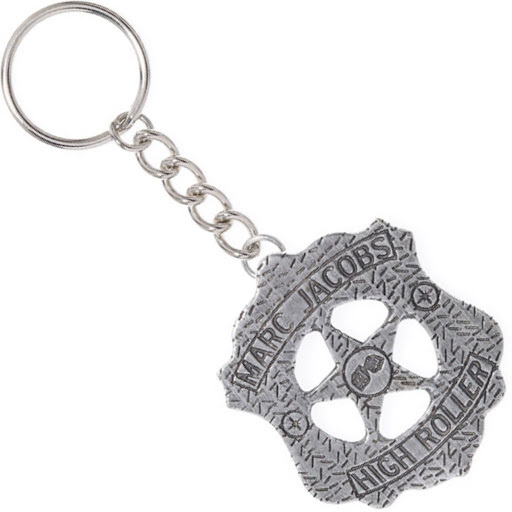 Marc by Marc Jacobs Vegas Badge Keychain Pewter High Roller Pewter finished alloy keychain capturing the Wild West side of Las Vegas. 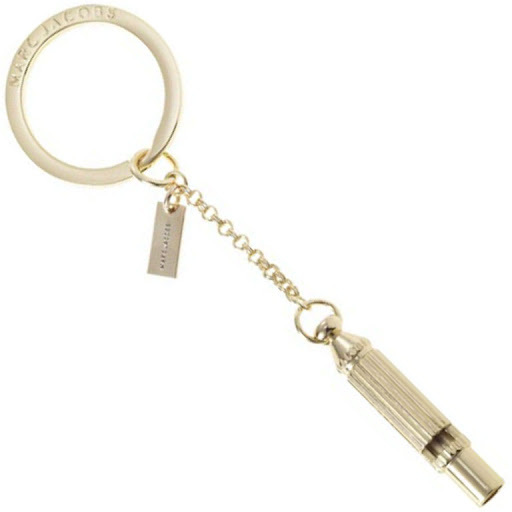 It will give you good luck, or at least good style! 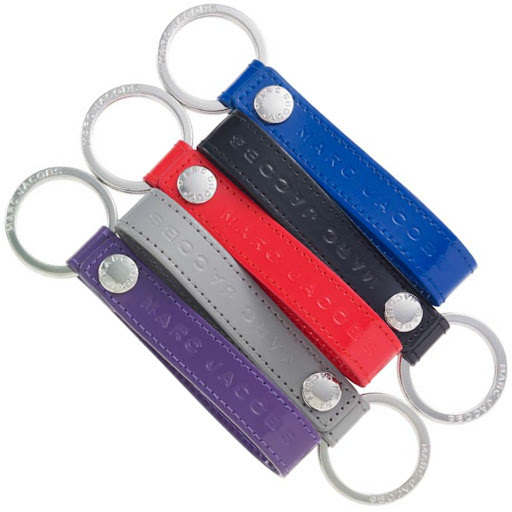 Size: 1.75 x 1.75" (Badge); 2.5" (ring/chain). 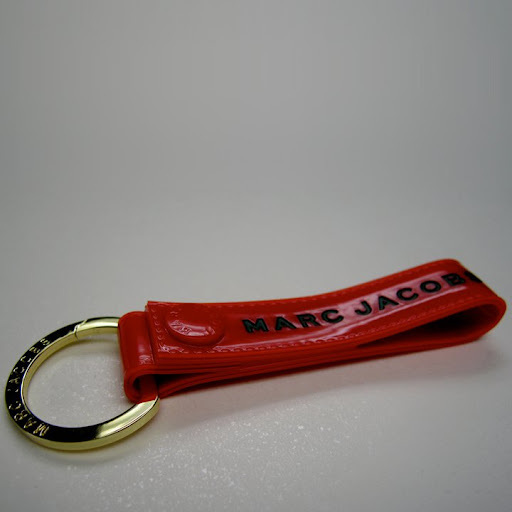 Marc by Marc Jacobs Vegas Badge Keychain Pewter Keep on Ridin' Pewter finished alloy keychain capturing the Wild West side of Las Vegas. It will give you good luck, or at least good style! 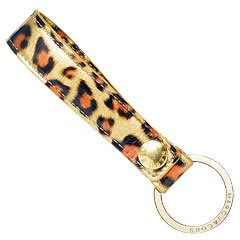 Size: 1.75 x 1.75" (Badge); 2.5" (ring/chain). 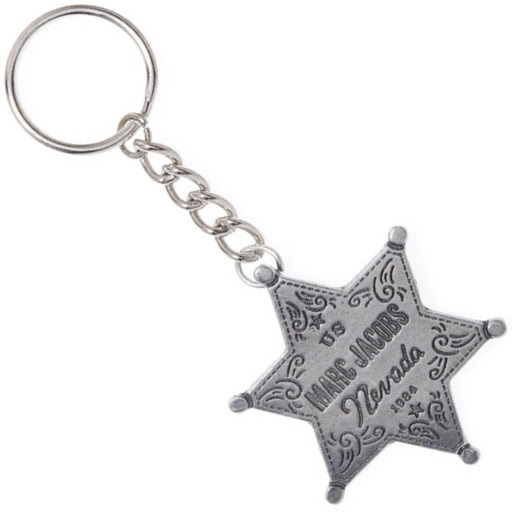 Marc by Marc Jacobs Vegas Badge Keychain Pewter Nevada Star Pewter finished alloy keychain capturing the Wild West side of Las Vegas. It will give you good luck, or at least good style! Size: 1.75 x 1.75" (Badge); 2.5" (ring/chain). 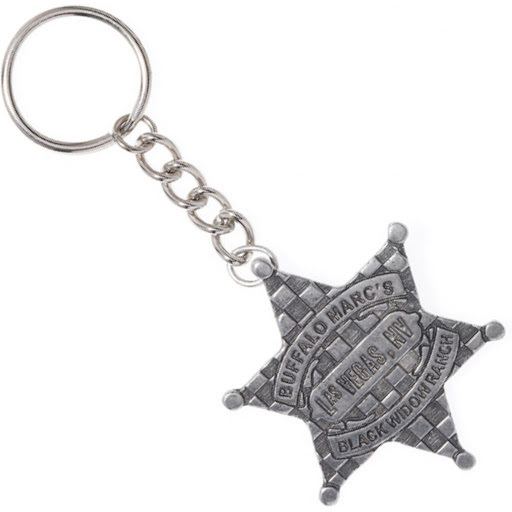 Marc by Marc Jacobs Vegas Badge Keychain Pewter Las Vegas Star Pewter finished alloy keychain capturing the Wild West side of Las Vegas. It will give you good luck, or at least good style! Size: 1.75 x 1.75" (Badge); 2.5" (ring/chain).